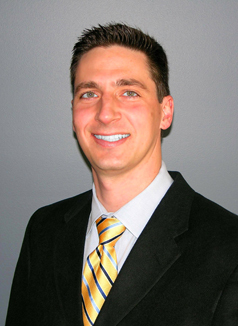 Dr. Matthew Fortna received his Bachelor’s degree from Cornell University. He then went on to The University of Pennsylvania School of Dental Medicine to complete his DMD degree and has been practicing dentistry since 2001. He was inducted into the Matthew Cryer Honor Society and the Omega Kappa Upsilon National Honor Fraternity for attaining the highest academic standing during his years of study. Dr. Fortna proudly served in the United States Navy and completed a residency in various aspects of dentistry and dental health before returning to The University of Pennsylvania to specialize in orthodontics. Dr. Fortna was awarded the prestigious David C. Hamilton annual award by the Pennsylvania Association of Orthodontists for excellence in orthodontic research. He was then appointed a faculty position by the Department of Orthodontics at the University of Pennsylvania, where he taught principles of orthodontic diagnosis, treatment planning, and technology in orthodontics. During this time, Dr. Fortna achieved Board certification in orthodontics and dentofacial orthopedics while practicing full time. 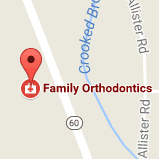 He served his profession as Diplomate of the American Board of Orthodontics from 2007-2012. Dr. Fortna enjoys meeting new patients who can benefit from the transformations that orthodontic care can provide. He has dedicated his adult life to advancing with his field, staying on the cutting edge of technology and continuing education, and creating a remarkable and enjoyable office for his entire patient family. Whether with braces or Invisalign, come see what a great smile can do for you!